When I first saw the trailer for this movie in theatres, I said to myself, “they seriously made a movie about someone lost in space?” Why yes – yes they did. Did I think that it was going to be anything special? No – no I had not. It really wasn’t until I started seeing people talk about it so much that I had to go watch it. A little delayed, but that’s irrelevant (there’s no timestamp on when to see or hear new releases). Astronauts are about the coolest things to a lot of people because they are the very few people on Earth who get to do the one thing that most people simply dream about – going into space. From the Earth’s point of view, being in space is nothing but a fantasy and it looks cool to float around in a space station weightless. This movie (although dramatized for Hollywood purposes) would take Armageddon and Apollo 13…heck, even 2001: A Space Odyssey, and bottle it up into one story about survival in the great abyss of stars, planets, and other man-made foreign objects. I’ve only been on an airplane twice, so I only know what it’s like to fly above clouds. The fear of having something go wrong up there is nerve racking, but in space, it’s a little crazier because well…you can’t go down and you have a limited amount of Oxygen to your disposal – humans aren’t supposed to be up there chirping it up, but we have technologies to enhance, and as the years and decades go by, space will be very important – who knows what will be found in 100 years from now. With all that being said, if you can think of the worst possible outcome and then triple it, and then turn it upside down by 180 degrees – you get this movie. 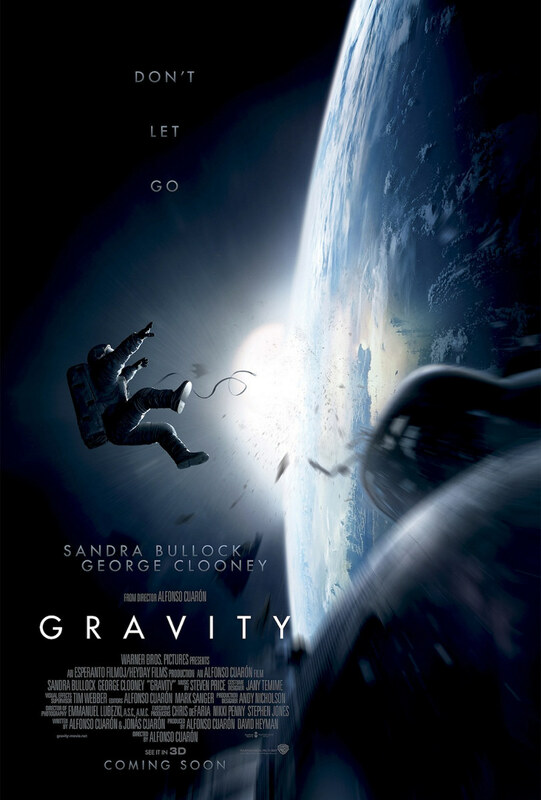 From the first 10-15 minutes, to the very end, it had my heart pulsating that made you tense, but also made you hope for Sandra Bullock & George Clooney’s characters (it’s really one of those movies you can’t give away).